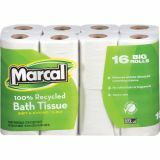 Marcal Small Steps 100% Premium Recycled 2 Ply Toilet Paper - Recycled, Green Seal certified bathroom tissue comes in big rolls for longer-lasting use. It is soft, strong and absorbent. It is also is septic-safe and virtually lint-free. Hypoallergenic tissue is whitened without chemicals containing chlorine bleach and has no added dyes or fragrances. 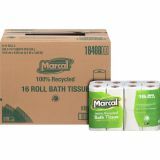 Each roll includes 168 two-ply sheets. 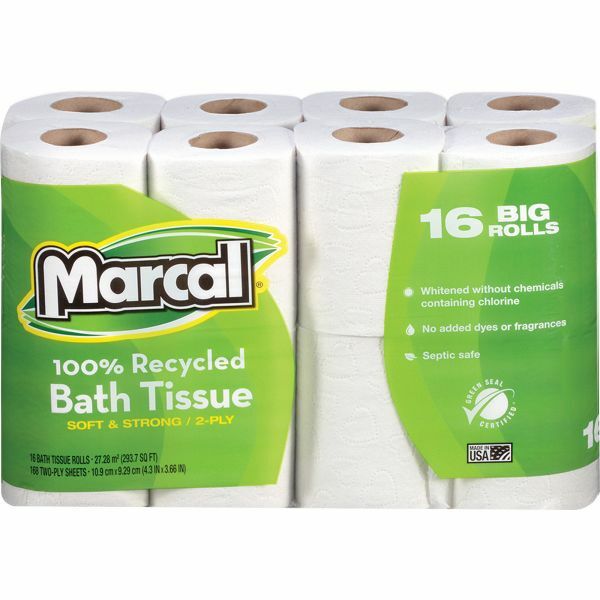 Bathroom tissue is made with a high percentage of recycled material.